In this article, we will be taking you through the best graphics cards (as of till the end of 2018) for every kind of user and for all kind of budgets. Looking for the best graphics card? Do you want to know about the facts of the graphics cards? Want to know what are the experts saying? You may be a fan of the raw processing power of Nvidia or the very well-known driver stability of AMD, in this below discussion we’ve selected the very best graphics cards only, you may save some bucks in these deals if you grab it on some sale offer. 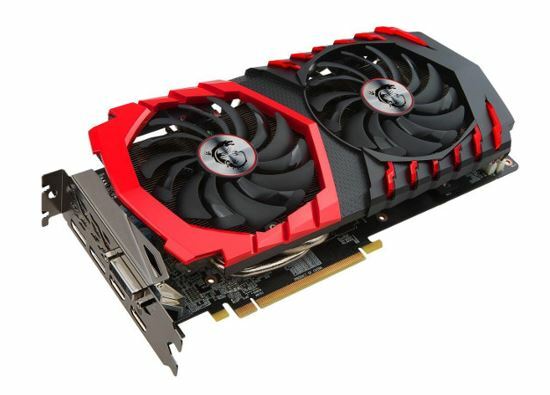 Otherwise, if are looking for the budget graphics only, then make sure you do read our other article on best budget graphics card of 2018-19 on this website. Graphics cards (or GPUs) serve three main roles in modern computers. First one is, while playing games GPU accelerate the 3D visuals effects, with its own processing power, which at the end used to ensure the best quality output in frame rate and resolution both, and GPU do process all other graphical detail in any CGI or High-resolution video, or even in raw editing, to ensure best quality Anti-aliasing, Ambient, shadow effects, lighting effects etc. Some modern GPU also helps in processing HD quality sound output also. The second one is GPU compliments the works of CPU and RAM, while heavy graphics processing-oriented job is going on. It helps enhancing the processing speed as a Graphics card contain its own Processor and RAM within it. While CPU and GPU are working together as well as Physical RAM and VRAM are working together, there enhanced processing speed, better quality output in Games, better output in HD Video (such as 4K), or better processing power in graphics design can be noticed for sure. Third one is for the digital creatives, including graphic artists, graphics designers (2D, 3D, 4D drawing), illustrators and 3D professionals, the same hardware can be used to work in tools such Adobe Creative Suite (like Photoshop), Blender, Maya and 3DS Max, along with plenty of other software and tools, to dramatically boost their rendering times. Where the designers are creating certain plug-ins or adding filters and effects, there GPU ensure better processing power. Though there are couple Designer’s Edition graphics cards available in the market, for the use by graphics designers only, which excels at this kind of job rather than a good performance in a game. A powerful graphics card can make a huge difference in reality with some tools, and properly updated software, and there are many tools and applications available in the market which will not be running with the effort of the CPU alone. Except for all the above, Graphics card also works as the main crypto-currency mining tool, in modern computers. In the case of crypto-currency mining multiple GPU, even dozens of GPU may be needed for optimum performance. Nvidia and AMD make two kinds of graphics cards which are aimed for either gaming or graphics design use. For Nvidia, GeForce is a gaming brand, while Quadro cards that are for professional designers. On the other hand with AMD, Radeon products are for gamers and Radeon Pro products are for creative professionals. Remember, the professional-grade cards or the designer editions cards cost a lot more than the gaming cards. In the case of Crypto-currency mining, the Gaming-Graphics cards are needed not the professional cards. Though the price is much higher in case of Quadro’s and Radeon Pros, you will get basically the same hardware specification like the comparatively cheaper gaming cards. Even they got the same kind of underlying design, along with the same architecture, and almost the same specifications, but of course with a few crucial differences, which makes them completely different types of products. Actually, Quadro and Radeon cards have a different type of certified drivers. The architecture and the working algorithm of those drivers are completely different from the drivers of the gaming graphics cards. Which means they have been made and tested for compatibility with some specific software, which ensures better performance with design software and is allegedly less likely to crash or run into any issues. From the point of hardware difference, designer GPU contains ECC memory for extra precision. For this they also can vary their clock speeds depending upon the need, they also do have lower power requirements and they do not tend to get hotter easily, so less thermal management demands. The fact is, if your job depends on your design work, you will not be caring about gaming, and you would be looking for absolute reliability, in such cases, it’s the Radeon Pro and Quadro cards you should be going for. Another big difference you’ll need to know about the cards which are manufactured, mainly with the gaming graphics cards. In the case of gaming cards, Nvidia and AMD produce and sell reference designs only, which means the GPU unit and other chipsets with the design blueprint only. 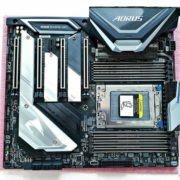 While a long list of other manufacturers is present there, including Asus, Gigabyte, Palit, MSI, Zotac, EVGA, Sapphire who produce the graphics card as a “CARD” and as plug and play device. In that case, there come many variations of those cards depending upon the reference specification, like a different type of cooling systems, faster clock speeds etc. But core design architecture stays the same as the chipset manufacturers blueprint. Remember for Quadro cards, there is a single manufacturer – PNY – who produces all its hardware. Most of the AMD gaming graphics cards are produced by a single manufacturer – Sapphire. While reading the specification of a Graphics card, or reading a review of a GPU, even when you are talking about a GPU with a friend, you will face many acronyms. One may wonder what those acronyms actually stand for, while most of the people wonder which of these are really important, and which one should be the prime focus while going to buy a graphics card. The main specifications often quoted in reviews by the writer and by manufacturers on the box of the product. Memory or VRAM expressed in GB like 2GB, 4GB, 8GB etc. Most of the cases the bigger is better but should consider the generation of the product too. End buying an 8GB product of the last generation instead of buying a 4GB of the latest generation is a foolish thing to do. Bandwidth and speed of the VRAM are expressed in GB/s, which gives the idea of the speed of the Memory processing, in this case also the greater the number is the better it is. The number of cores, it defines the power of the GPU. Nvidia called their cores Cuda cores while AMD refers their cores as GCN cores. Both are actually the same. The higher number is better, though the effectivity depends on the architecture too. With an updated architecture a GPU with less no of cores may perform better. If you are comparing two products of the same gen, the go for the higher no if you can afford it. The card’s processor’s clock speed expressed in MHz. It is just like the speed of CPU which measured in GHz. —These are the main factor you should be focusing on while browsing. Now we will be discussing in brief about the best graphics cards available in the market out there. In the below discussion we will be providing basic details of the graphics card along with the price range and basic review from the experts. 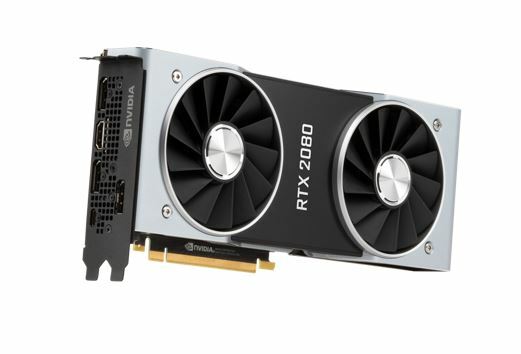 RTX 2080 is the first 2000-series Graphics card from Nvidia in the market. It is using a next-gen technology called the Turing architecture. It is also the first Graphics card to bear the name RTX rather than GTX. RTX is the acronym for real-time ray tracing. Though the feature is supported only a selected number of games, in the coming years all the game gradually will be supported by this technology. Performance and graphics output wise it looks awesome, not till now it has that widespread use yet. 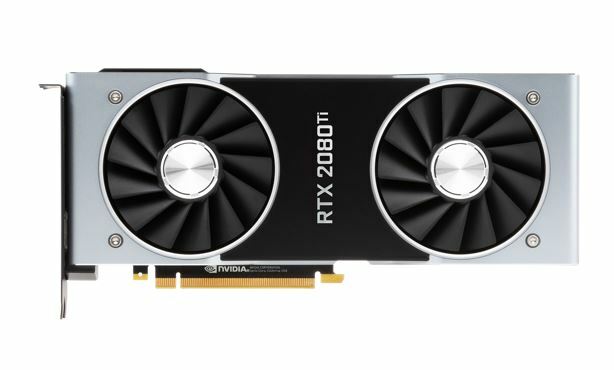 As this is a huge step forward for the upcoming years, which makes this a future-proof investment, in turn, that makes the RTX 2080 the top choice above all. 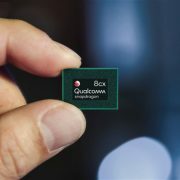 In addition to introducing new a gen chipset, it has dedicated hardware RT cores for ray tracing and Tensor cores for 3D arithmetic separately. Which in turn makes the card size a little bigger. The RTX 2080 also uses the latest and highest bandwidth which is available in the market, that is GDDR6 memory, although it has no other variant other than 8GB, just like the GTX 1080. In games, it will ensure you 50 percent better performance than any other top-end card. The driver software has also the improved which in turn make better the performance of the applications than Cuda and OpenGL acceleration as well. In simple words, it is outperforming any of the existing cards in the market. The price is very high of this product, it is even priced higher than GTX 1080 at the time of launch. There is no forecast according to which the price is coming down within the next one or two years. 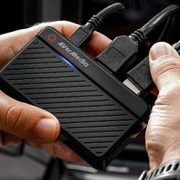 It is a brilliant recommendation for any mid-range gaming PCs, for any type of armature and an enthusiast gamer. After the appearance of the 2000-series graphics cards, the price also has come down a bit of this product. GTX 1050 and GTX 1060 is very good for 1080p gaming on a budget, but 1070 has much better future proofing as it can go up to 4K, even after the lunch of next-gen GPU. While GTX 1060 has 1,280 and the GTX 1050 has 768 and better-looking games are guaranteed now, with them but after 3 years nothing can be said. There 1070 has 1,920 Cuda cores, so even after 3-4 years, it will provide you decent performance. 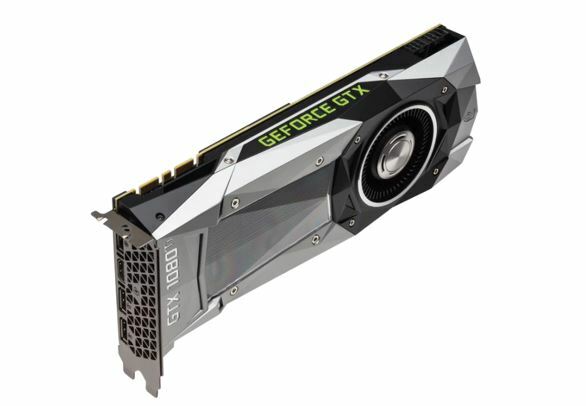 If you have a realistic PC budget not too constrained, then GTX 1070 is the best recommendation for a card. It is the steroid-enhanced version of the flagship product from Nvidia. This is an old trend of Nvidia for the last two decades. The price is seriously very high and only the super enthusiast or the professional gamers only going to prefer this card. RTX 2080-Ti is the fastest graphics card on the planet with 4,352 Cuda cores, almost double the RTX 2080 and almost double the graphics processing power, it has within it. This card alone costs much more than an average mid-range PC, but the investment could be well worth considering because of the hardware within it and the power it provides. This GPU is even very good for the designer’s works. So, if a user is fascinated with both kind of needs then he should consider this product if he can afford it. 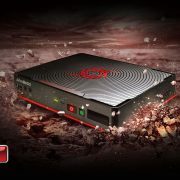 to steal some of Nvidia’s market AMD has just launched a great new professional-grade graphics card, the WX8200. 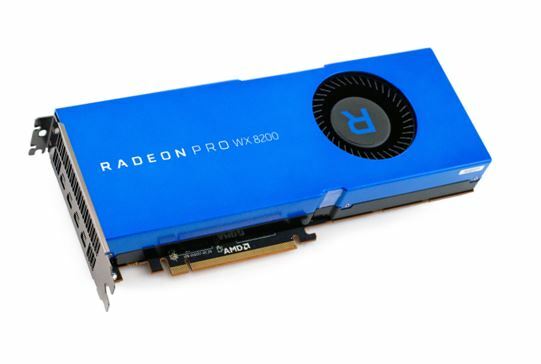 It gives an even better performance of its higher tier WX9100 card. The price is even affordable comparing with Nvidia. Though for those people who are accustomed to the price of AMD products it will be much higher as it is other costliest product in the market. Though after the high price it’s still based on the current Vega architecture, it has 3,584 cores (higher than RTX 2080), with 8GB of ultra-fast HBM2 (equivalent to GDDR6) memory to deliver serious juice out of the games. There is another point to note that, depending upon other hardware and software tools you use, AMD cards offer even better performance. Which means if you have an Octa-core or Hexa processor (AMD RX 8300 or Intel i7 sixth gen) along with 16GB DDR4 RAM then the GPU will perform even better with this support. Good quality thermal management also needed to bring out the best juice out of it. Choosing a graphics card from AMD is mainly because of getting better value for your money. Performance is also decent; longevity issue is a factor in comparison to Nvidia graphics card. AMD Radeon RX 570 is one of the best cards for those who are on a tight budget. In performance and also in cost it comfortably wins the battle over the Nvidia’s GTX 1050 and GTX 1060. With only 4GB of memory, it may struggle a bit in delivering the best beyond 1080p, but the 8GB variant is good for 1080 as well as 4K gameplay. The RX 580 from the same manufacturer has 2304 GPU cores in it, and very little changes here and there, but costs high due to durability. But the performance is almost the same. If a user is looking for the second-best product from AMD then he can go for the RX 580 8GB version, which is almost the same as GTX 1070 from Nvidia with a lower price. 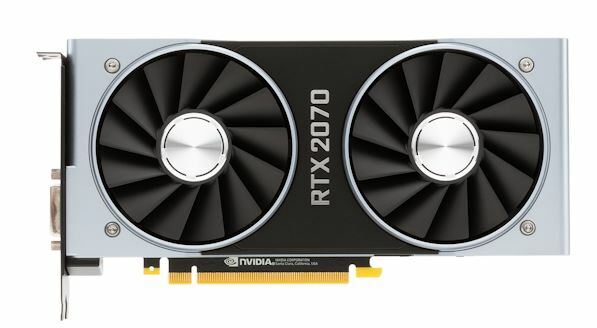 RTX 2070 is the most affordable of Nvidia’s latest 2000 series lineup. Although the price is around £500, which is almost the price of entry-level pc or laptop. But if one is considering the best gaming setup with 5 years futureproofing then going with this product is the best solution for him. Brilliant for 4K gaming, best quality 1080p gaming, basic level designer works all can be experienced seamlessly with RTX 2070Almost in any game you can hit the 60fps sweet spot. It also packs the in ray-tracing hardware tech just like the GTX 2080. This is the Last generation’s top-end card, which is still on the market. Nvidia GeForce GTX 1080-Ti still packs a huge punch for any games. The prices have dropped after the release of RTX 2080. That makes it better value to purchase. The thing is it also comes very close to the RTX 2080 in performance. Just the next-gen protection is something which it is missing. If you are making a midrange gaming pc getting a 1080-Ti is a very good idea. 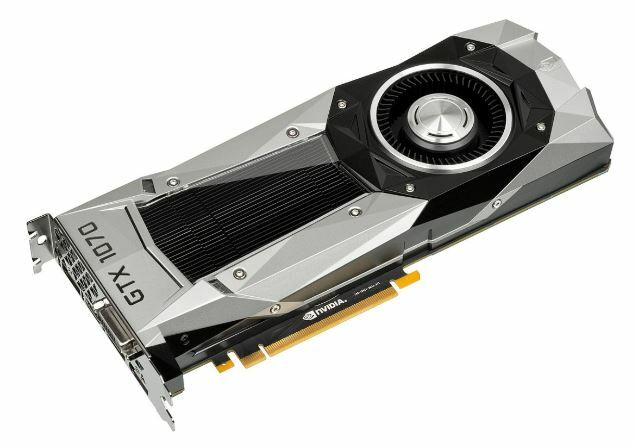 Getting a refurbished 1080-Ti within a cheap price can be proved as a golden deal. Especially, if you want to go for the best only, but your budget is limited very strictly, this is the thing meant for you. 1080-Ti gives very good performance in any 1080p gaming as well as a decent quality performance in 4K gaming and video play. First lock on your need. Think about what kind of games you want to play. There are many famous titles of games out there which does not demand much graphics juice. S, fix the type of your games. Fix the category of you as a gamer. Are you an entry-level gamer, or an enthusiast or a pro level gamer? These will help you to understand your needs. Then decide your budget for the whole pc, then think about the budget for the GPU only. If you have a pc and you are upgrading it, then you might think about putting more money into the purchase. No according to your budget, look for which Graphics card are fit in your budget. Do not forget to try the budget flex a little more for a better deal. Now, look which of the GPU has the highest no cores in your budget. As we stated earlier that the no of cores is the most important thing when it comes to measuring the power of any GPU. After that look, for the highest no of the amount of VRAM you can get within your budget. Do not forget to check the GDDR series, as the greater the series no is the better it is. If you have to choose between a GDDR3 4GB and a GDDR4 2GB, then go for the later one. Do not forget to check the kind of connectivity you get with a GPU. Multiple HDMI support would be a very good choice. Also, do check for 4Kand 5K supports. Even there are GPU available with 8K supports, so keep that in mind for the sake of the future. Lastly, keep in mind that you should go for the latest architecture only, never go for old architecture, no matter how cheap the deal is or how many Gb of VRAM you get there, do not do this novice mistakes. What are hot-swappable and cold-swappable devices? How do they differ?